Pain may be the most characteristic symptom of fibromyalgia, but it isn't the only one, as patients also experience tender points, fatigue, and stiffness. Fibromyalgia, a much-talked about but little-understood functional pain disorder, can have a devastating impact on patients' quality of life. Most people who've heard of the disorder know that it involves pain, but so-called tender points and all-encompassing fatigue also feature on the list of characteristic symptoms, along with extreme fatigue. What do you need to know about the symptoms of this condition? Pain, the primary symptom of fibromyalgia, may wax and wane, but is generally always present to some extent. How much pain a patient will be in during any given moment depends on factors such as stress levels, fluctuations in seasons and temperature, and also levels of physical activity, how much sleep you've had, and even the time of day. Fibromyalgia patients characterize this discomfort, which is worse in some areas than others, as anything from burning, sharp, or stabbing, to aching. Muscle spasms or twitching are also possible. People who suspect that they could be suffering from fibromyalgia and who seek medical attention can expect their doctor to pay special attention to these tender points, doing a physical exam to identify current ones and also asking about other areas that were recently especially tender. Your doctor can diagnose you with fibromyalgia if you meet the diagnostic criteria, including widespread pain and tender points, and have for at least three months. Some fibromyalgia sufferers will feel pain not just in response to physical touch, but also other fibromyalgia triggers — stimuli like bright lights, foods, smoke, or noise. Being confronted with these stimuli can in turn worsen your other symptoms. 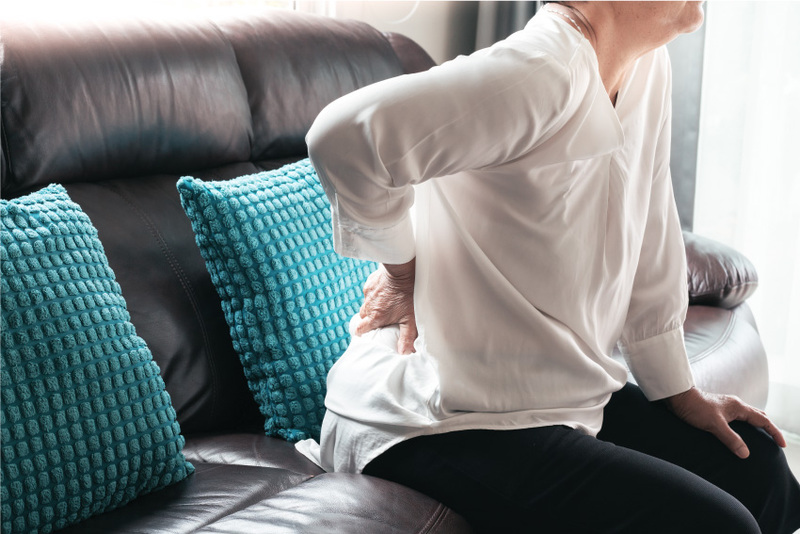 Stiffness, especially when waking up or otherwise remaining in the same position for long periods of time, is another common — but less discussed — symptom of fibromyalgia. You may feel excruciating muscle contractions in response. Intense, overwhelming fatigue, is another thing most fibromyalgia patients suffer from. Some days, the fatigue may be barely there, but on other days, you may feel nearly unable to get out of bed. Even after a full night's sleep, patients can wake up feeling far from refreshed. Not only does extreme fatigue rob fibro patients of the quality of life they deserve by itself, feeling tired additionally worsens other symptoms, including pain and depression, making it one of the most treacherous symptoms of the condition. If you're feeling tired all the time, it's quite hard to describe this to a doctor well — fatigue levels are, to some extent, subjective and even harder to quantify than the severity of your pain. While common sense would dictate that fatigued people find it easy to go to sleep, this isn't necessarily the case at all — some fibromyalgia patients find it extremely difficult to go to sleep or stay asleep. The combination of fibromyalgia and insomnia creates a vicious circle, in which you feel fatigued in part because you can't sleep, and can't sleep in part because the fatigue makes your pain worse. What can you do to find relief from fibromyalgia symptoms? While medications, such as low doses of antidepressants, can help fibromyalgia patients battle their pain and fatigue to some extent, many sufferers seek solutions in alternative medicine and lifestyle changes. Stress relief, exercise, and better rest can all greatly help you reduce your symptoms. Heat packs can bring relief to stiff, sore muscles, but a warm bath can also help. Massage can temporarily soothe your muscles by reducing tension and spasms. Stress relief that works for you, whether meditation, therapy, or something fun like movie nights with friends, can help you reduce your symptoms — being stressed is one of the triggers for flare-ups. Managing your daily schedule well, by planning activities but not too many of them, will help you maintain a comforting routine that is less stressful and might help relieve fatigue. Regular exercise is probably not something you feel like doing, but it can actually help fight fibromyalgia symptoms. Sleep hygiene, like going to bed at the same time each night, banishing screens from your bedroom, and winding down with a relaxing routine, can promote healthy sleep. Avoiding triggers — like being especially sedentary, stressed, or overexerting yourself, can also help — but some triggers, like fatigue, temperature changes, infections, and hormonal fluctuations like those associated with the menstrual cycle, are simply beyond your control. In this case, try to adjust your schedule to allow more rest.